Sweet-toothed players may want to take a bite of EGT’s tasty new pokie, Caramel Hot, which treats them to traditional fruit symbols set against a light brown, swirly backdrop. Subtle 3D graphics make the symbols stand out across the 5 reels, which has them arranged in 3 rows and comes with 30 paylines running across them. This online casino pokie may look quite appetising, but anyone after lots of bonus features isn’t going to tempted by the simple gameplay, but many others will be sticking to the Caramel Hot video pokie for the exact same reason, so it’s just a matter of taste. Most games with the basic fruit theme also come with basic graphics, but this one looks great. Above the reels, there’s 4 boxes that show the Club, Heart, Diamond and Spade progressive jackpots which are carried across the whole EGT range, while below is a set of control buttons, and the payline indicators are at the sides. It’s a straightforward set-up that players should be instantly familiar with, although it’s worth noting that all 30 lines are permanently active, so the low limit stake is 0.30. This can be raised to a maximum wager of 60.00 per spin, or players can try out the free Caramel Hot video pokies offered at many online casinos, trying it out before making real bets. Sticking with convention, wins come whenever matching symbols land across a payline starting from the left side, and on sequential reels, although wild and scatter symbols can create winning combinations in other ways as well. The pay table lists how many times the equivalent of the amount staked per line can be won by each symbol, and the smallest prizes are awarded when the cherries or lemons appear. These are worth 2x, 10x or 20x for getting 3, 4 or 5 across a line, and the oranges or plums pay slightly more for the same combinations. Win values steadily increase through the watermelon, bunch of grapes and banana, but when we get to the apple symbol, players only need it to land on reels 1 and 2 on a payline to win 4x the line stake, with 10x, 30x or 80x returned to them when 3, 4 or 5 turn up. The traditional bell symbol and the red 7 are also worth a prize for just 2 examples on a line, and that 7 is the second-richest icon, paying out 10x, 50x, 250x or 1000x when it stops on 2, 3, 4 or 5 reels. This is also a wild symbol, so any time players see matching symbols across a line, but there’s a gap in the sequence, if the wild is in the right place it will substitute and they still get paid out. 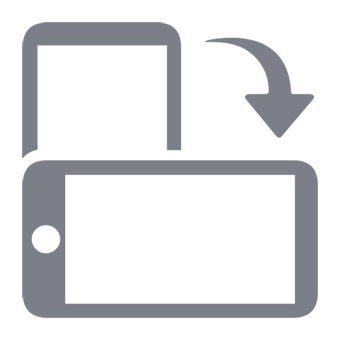 It can also extend winning lines across extra reels, which leads to the higher-value awards. But even the red 7 prize potential is overshadowed by what players can win is the star scatter symbol stops in any 3, 4 or 5 positions at once. This icon, that looks like it belongs on the roof of the Kremlin in Moscow, is worth 150x, 600x or a massive 6000x the line bet. 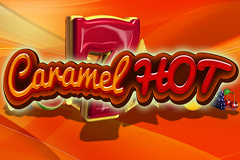 The Caramel Hot video pokie doesn’t have any unique bonus features, but it comes with a couple of extra rounds that are common to all EGT games, and the Jackpot Cards progressive prizes can be awarded randomly after any spin. Once triggered, players will see 12 playing cards and will need to pick them in any order, winning whichever jackpot corresponds to the first suit found across 3 cards. If a win was for 1050 coins or less, there’s an option to enter a double or nothing gamble round, with players needing to correctly predict if a playing card will be red or black to win it. If successful, they can try to double it several more times, which can turn a smaller win into a much bigger prize of p to 32x the triggering bet, but of course, a wrong pick at any stage loses the gamble. Caramel Hot may be a relatively simple game, but it looks much better than similar casino pokie machines, even ones in the EGT range. Gameplay couldn’t be easier, as all players need to do is pick how much they want to stake and set the reels spinning, using an Autoplay button if they don’t want to click each time. The only thing that’s possibly going to interrupt play is the triggering of the special Jackpot Cards round, and as landing one of the progressive prizes is guaranteed once it starts, no-one is going to complain about it.